Findings: In general, the results of the study indicate families in the Gulf States share one common pattern. All cases (with temporary residence) seemed to have returned to their country of birth (Sudan); this is in contrast to the North American families (with permanent residence). In addition, the North American families appeared to have migrated to more than one destination country. Almost all the families in North America divided their time between Sudan, USA and Canada; they indicated a final return to Sudan would be likely. Finally, all the families of the two groups were shown to be satisfied with their decision to migrate out of Sudan. Reference to this paper should be made as follows: Shallal, M. (2017) ‘Return migration: dilemma of immigrants from developing countries’, Int. 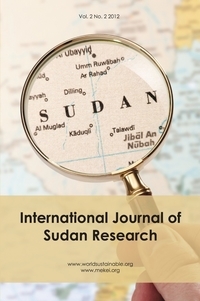 J. of Sudan Research, Vol. 7, No. 2, pp. 67–84.